Ted BoisYup, quiet as hell up here. Though I heard from somewhere that people have been waiting for a video of some kind to surface…? Well here’s five new ones. 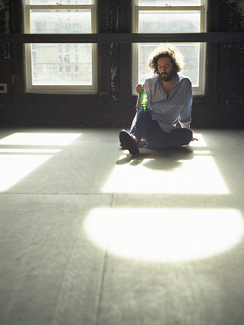 Stereogum has premiered the new chicken farm-set clip from Destroyer, taken from Dan Bejar’s forthcoming Five Spanish Songs EP which will be out on November 25. He’ll be on stage at The Opera House – not The Great Hall, as originally scheduled – all by his Bejar-ness, on November 9. Or there’s the new video from Metric, for the title track of last year’s Synthetica, which got unveiled to the world via Rolling Stone. 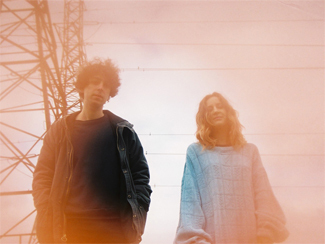 Young Galaxy also have a new video, squeezed out of the new tracks on the Ultramarine Deluxe reissue. They play The Hoxton on November 22. Islands have a new video from their latest release Ski Mask. There’s also interviews at The Coast, The Chronicle-Herald, and The Aquarian. And Vancouver’s Brasstronaut have a new clip from last year’s Mean Sun. And in non-video/crack-related news, Kashka is marking the release of Bound – her debut album as Kashka – by streaming the whole thing, and it’s lovely. Anyone who was sad about the end of Forest City Lovers will have reason to be happy again. There’ll be a record release show at The Great Hall on December 5. No Joy have just released their Pastel And Pass Out EP and are streaming another song from it for your enjoyment. They’ll play The Garrison on December 6. Exclaim has an advance stream of the new Misery Makers Vol. 1 EP from Chains Of Love, out as of this week. Exclaim talks to Yamantaka//Sonic Titan, whose Alaska B lists off her favourite video game soundtracks for Chart. They’re celebrating the release of Uzu tonight at The Garrison. Beatroute talks to Shad; he’s back in town at The Danforth Music Hall on January 31. Vancouver electronic-industrial pioneers Skinny Puppy have announced a date at The Sound Academy on February 18 in support of their latest release, Weapon, released earlier this year. The Quietus, aux.tv, and Beatroute talk to Spencer Krug of Moonface. NOW has an interview with Braids. Magnet interviews Basia Bulat as a precursor to her taking over their website for the week. Altar TV has a video session and The Calgary Herald an interview with The Belle Game. Derek BelchanIf you thought that unclassifiable Montreal-Toronto outfit Yamantaka//Sonic Titan would have difficulty following up their utterly 2011 debut YT//ST, that their blend of prog-rock, Japanese opera, and metal amongst many other influences would inevitably turn from unique to self-parody, or that the pressure of going from obscurity to 2012 Polaris Prize shortlister would paralyze them creatively, then you don’t need to look up what Uzu – the title of their second album due out on October 29, means – it means “you are dead wrong”. Even as an avowed fan of the band, I wasn’t sure how they’d follow up YT//ST, so singular a work that it seemed to be, but clearly Yamantaka//Sonic Titan had no such reservations. Whereas much of the excitement of YT//ST came from the primal, alchemical reactions of bringing their disparate elements and ideas together, Uzu intricately crafts them all together with a much more assured hand – rather than melding all those styles together, Yamantaka//Sonic Titan now sound like they’ve created their own. And remarkably, that’s not even what stands out the most about Uzu – that would be how much better they’ve gotten at sounding conventional. Lead track “Atalanta” opens with a classical piano figure that is quickly joined by Ruby Kato Attwood singing a plaintive and achingly pretty melody. It’s the sort of move that a band determined to hold onto the “experimental” adjective might eschew as too straight, too accessible, but which too Yamantaka is clearly just the right thing to do for the song. The greater emphasis on melody and straight emotion persists through the record and gives Uzu a heart that YT//ST might have possessed, but kept in the background. The two-part “Seasickness” is the best example of how far they’ve come, with the first part emphasizing the austere beauty of the approach and the second demonstrating how well it meshes with their established sound. What this all means is that those who liked Yamantaka before because they were weird will continue to like them because their weird, but those who found them too weird before may well now find them to be sufficiently more accessible to be won over. What this all means is that with Uzu, Yamantaka//Sonic Titan may now be unstoppable. Pitchfork has an advance stream of the album. They play The Garrison on November 6. 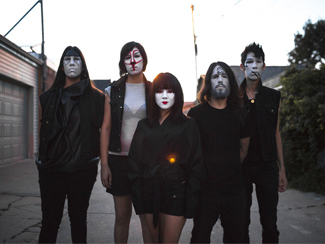 Pitchfork has premiered the new video from The Belle Game’s debut Ritual Tradition Habit, while NOW previews their show at The Drake Underground on Friday night, October 25, with an interview. Your latest Arcade Fire inevitability updates: Pitchfork has a lyric video for the next officially-released preview, NPR will host a live concert showcasing Reflektor before its release the next day, and both Rolling Stone and Macleans have interviews with Win Butler about the new album, The National Post with Will Butler, and Radio Free Canuckistan throwing in Q&As with Richard Reed Parry and Tim Kingsbury for good measure. Update: And yeah now you can stream the album in whole. Pitchfork has stepped up with an advance stream of the new Moonface record Julia With Blue Jeans On, which comes out on October 29. Kashka has premiered a new video from her forthcoming Bound at Indie88; the album is out November 5 and there’s a record release show for it at The Great Hall on December 5. Exclaim reports that the new album from Vancouver retro-rockets Chains Of Love will now be an EP, or series of EPs, starting with Misery Makers Vol. 1 which comes out November 5. The Vancouver Sun, Halifax Chronicle Herald, and What’s Up interview Braids. They’re at The Great Hall on November 10. Neil Young continues to make his fans easy to Christmas shop for via his Archives series; Consequence Of Sound reports that he’ll release Live At The Cellar Door, capturing a 1970 residency in Washington DC, on November 26. The Besnard Lakes have released a new video from Until In Excess, Imperceptible UFO; they’re at Lee’s Palace on November 26. Death From Above 1979 want some of your Boxing Day spending money, having just announced a show at The Danforth Music Hall for December 26. Tickets will run between $33.50 and $39.50. Shad explains some of the stories behind the lyrics on Flying Colours to The Grid and also talks to JAM, The Huffington Post, The Edmonton Journal, The Coast, and The Halifax Chronicle-Herald. He’ll be back in town to perform it at The Danforth Music Hall on January 31. Southern Souls has posted a video session with Rose Cousins; The Georgia Straight also has an interview. 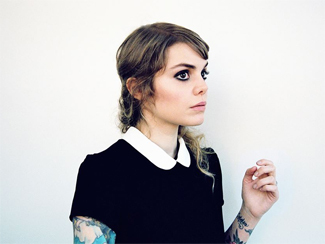 Paper Bag Records is proud to present a new video session with Diana. Or at least I assume they are. Why wouldn’t they be?